Have you ever wondered why you buy a certain product instead of another one? The answer has to be searched in a series of elements, which influence the consumer's purchasing behaviour: quality of the product, brand popularity, aesthetic aspect of the package, its position on the shelf and much more. Many statistical data have shown that the purchase decision is determined for 95 % by factors related to emotions evoked by the product, so that at this point you openly speak of "emotional buying" or "impulse buying". An essential role in leaving an impression on the consumers' emotions and sensations is played by the package, thus the more captivating and original its shape, colours, conveyed messages are, the more you draw the consumer's attention and interest. The bottle designed by SMI for Al Saleh company (Iraq) is an example of a container that wants to create emotions! 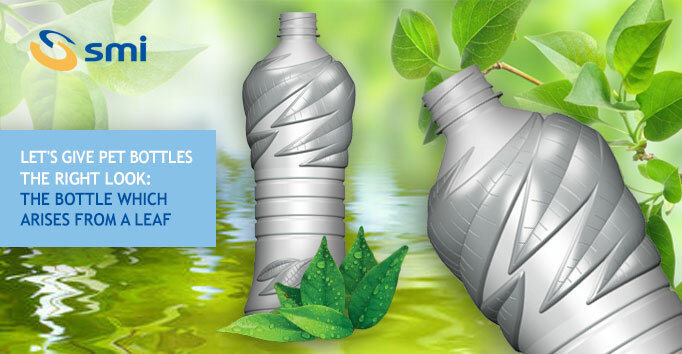 Everything started with the consumer's idea of recalling natural elements to express his own inclination to the respect of the environment; in this way a "green" bottle arouse, with the reproduction of stylized leaves on its surface as "emotional" element of the container and its brand. The accurate study of the incline of the bottle "shoulder" has permitted SMI designers to create on the surface an elaborate play of veins which allows the image of the leaf to acquire a three-dimensional aspect and at the same time to cover a function of support for the container so as to ensure a greater resistance to the mechanical stress. 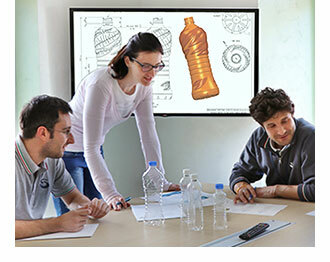 SMI, thanks to a latest generation R & D laboratory, is able to design and develop graphically a wide variety of PET containers and to give your product design a new "emotional" face. For further information, contact our Sales Department!